You are currently browsing the tag archive for the ‘fear’ tag. The father pushed his chair back from the table and looked into the distance for a moment. “Do you remember your Uncle Billy?” he asked. 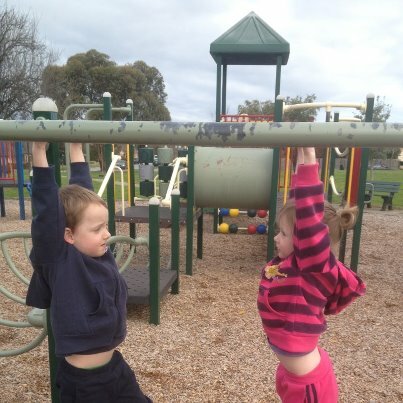 After a proud fatherly cuddle, I asked her if she was scared when she did it because the monkey bars are so high off the ground. What a wonderfully profound statement from a four year-old. When confronted with a challenge, instead of focusing on what could possibly go wrong, she focused on what she needed to do to achieve her goal. 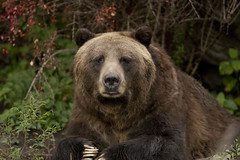 If you’re ever out in the woods and you come across a grizzly bear, you should never try to run away or climb a tree. Even if it charges you. If you try to run, it will chase and catch you and then you’re really in trouble. What has this got to do with fear? We all have something that we’re afraid of. In many surveys, it turns out that people are more afraid of public speaking than they are of dying. According to Jerry Seinfeld, this means that at a funeral, we would rather be in the coffin than giving the eulogy! Thankfully, there are ways to overcome your fear of public speaking. As someone who is regularly speaking to audiences of hundreds of people, I still get nervous. So I use three statements that I say to myself to help me to perform at my best. Very few people will admit it, but we secretly love the fears that hold us back. We’ve lived with them for so long that they’ve become a part of the family. We are so accustomed to them that we can’t imagine living without them. We’re afraid of failure, of embarrassing ourselves, of standing out in the crowd, of change and of a range of other things that we’ve rationalised that we can do without. and we like it like that because we feel safe. There’s a story about an experiment that took place with five rhesus monkeys that were placed in a cage together. There was a ladder in the middle of the cage and a bunch of bananas was placed at the top of the ladder. One of the monkeys saw the bananas and went to climb the ladder. As soon as it did, ice-cold water was sprayed over all of the monkeys. This pattern would repeat itself. 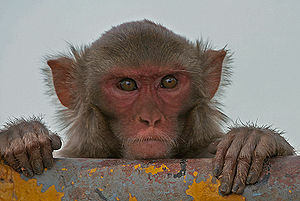 Every time a monkey would start to climb the ladder, ice-cold water would be sprayed. It got the point where whenever one of the monkeys would try to climb the ladder, the rest of the monkeys would start to beat him up. At this point, the researchers took one monkey out and replaced it with another one.